Do you want to win a copy of A Circle of Sisters? You can send it to me via my email brown.jolyn@yahoo.com. If you could put "RS Contest" in the subject heading, that would be helpful. Don't worry about length or being a great writer. Just get down those great experiences about how Relief Society has blessed you or someone you know. I'd love to share your experiences on my blog if your comfortable with that. If not, just let me know you'd prefer it not be shared. Or you can even ask that it be shared anonymously. Everyone who sends an experience will have their name entered into a random drawing on October 4th, 2013. I know that only gives you three weeks, but Baby will be making her entrance sometime in October, so I need to get the book mailed to the winner before my life is turned upside down by this little one we are so excited for. 1. Write down one your inspiring RS experiences. 3. Wait with hopeful excitement for the blog post on OCTOBER 4, 2013. 4. 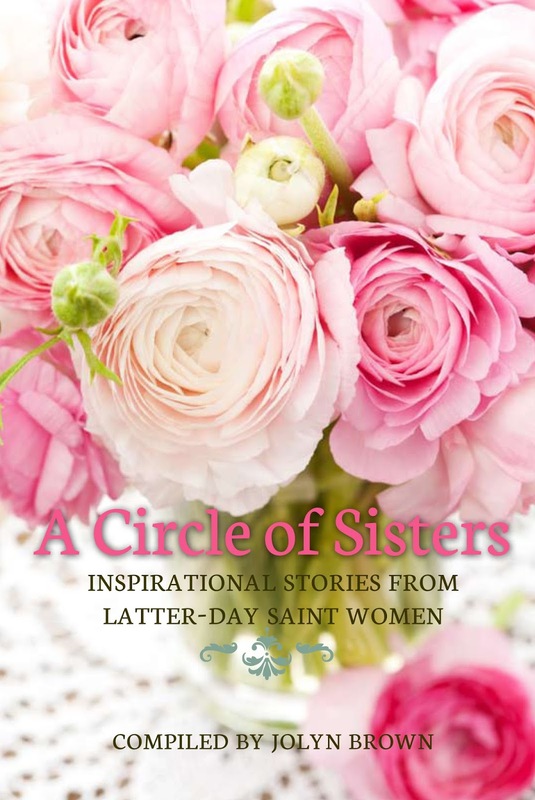 Win your free copy of A Circle of Sisters. So pull up your word documents or emails. Write down what happened last week in RS that helped you feel the Spirit, or about that sister that showed up on your doorstep when you needed someone, or even write about walking by someone's house, feeling a little lonely and finding a sister from the ward outside with her kids. There are no coincidences, God knew you needed someone to talk to, even if it is over a fence with two dogs barking in the back ground. If you have any questions, let me know. Now go write.